Designing a website can be a daunting task; mistakes in your design can cost you sales. 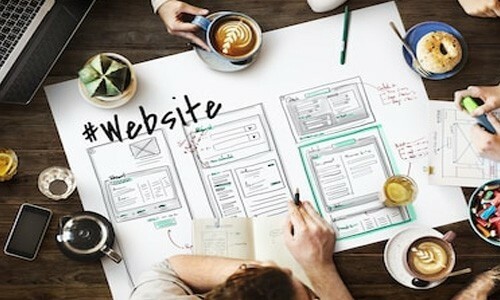 Planning out how your website will function and give your website visitors a good experience is the primary starting point. Here are some of the most common mistakes to avoid. Plan out how your website will function, how will visitors get from your home page to the products or services you offer? A good web developer will be thinking 3 pages ahead, how will that page function? How will a website visitor find the information on that product or service? How will that layout display on a mobile device? Most people concentrate on the home page only, Google indexes all the pages within your website, there’s no way of knowing which page the website visitor will first land on. They may have followed a like from a blog to one of your website internal pages. All pages within your website need to be made user friendly, clear and let the user know where they are. Website visitors want to do things quickly and easily, website visitors don’t want the hassle of having to spend time looking for things, they want to go straight to the navigation links and get the page they want. A rule of thumb is that a user should be able to find what they are looking for within 3 clicks. A navigation menu should be in your header of the page along with a clear logo showing the name of the website. These are the main links for your website, important links, such as privacy policies, cookies policy etc should go in a footer navigation menu. A website should always display up to date contact details. As a legitimate business you should always put your contact details on the website. With so many scams no on the internet website visitors always expect to see contact details clearly displayed. If you are accepting credit or debit card payments then you are required to display contact details on your website. Slideshows maybe pleasing on the eye but in terms of delivering a message they are inefficient. The information is there yes but don’t assume that your websites visitors are going to be looking at your slideshow from the moment the page loads. Website visitors may glance at your slideshow but as they do the slideshow moves on to the next segment and the point has been missed. A website blog adds more pages to your website, which gives more chance some of your websites pages will appear in a Google search. Your blog also gives you more content for digital marketing and in turn directing potential customers to your website. Almost everyone that has a mobile phone now has a smart phone with internet capability. Your website needs to be mobile friendly, designing your website to function with ease for mobile devices should have the highest priority in your initial design concept. You could be missing out on sales while people quickly shop on their lunch break or while their waiting to pick their children up from school. Design for mobile first! Websites need to load fast, a website with large slideshows; a page full of images can take too long to load. If your website does not load within a few seconds there a strong possibility your visitors will leave and you may even get penalised by Google which will reduce the chances of your website being shown in Google’s search results. Website load times vary depending on the device used. Mobile phones depend on the speed of their internet connection. Website that have large amounts of images can take too long to display on a mobile phone, consider splitting your pages with lots of images to smaller pages and reduce the file size of these images, this will give you faster page load times than having large images all on the same page.